The paper on G-CaMP5 has been published. Genetically encoded calcium indicators (GECIs) are powerful tools for systems neuroscience. Recent efforts in protein engineering have significantly increased the performance of GECIs. The state-of-the art single-wavelength GECI, GCaMP3, has been deployed in a number of model organisms and can reliably detect three or more action potentials in short bursts in several systems in vivo. Through protein structure determination, targeted mutagenesis, high-throughput screening, and a battery of in vitro assays, we have increased the dynamic range of GCaMP3 by severalfold, creating a family of “GCaMP5” sensors. We tested GCaMP5s in several systems: cultured neurons and astrocytes, mouse retina, and in vivo in Caenorhabditischemosensory neurons, Drosophila larval neuromuscular junction and adult antennal lobe, zebrafish retina and tectum, and mouse visual cortex. Signal-to-noise ratio was improved by at least 2- to 3-fold. In the visual cortex, two GCaMP5 variants detected twice as many visual stimulus-responsive cells as GCaMP3. 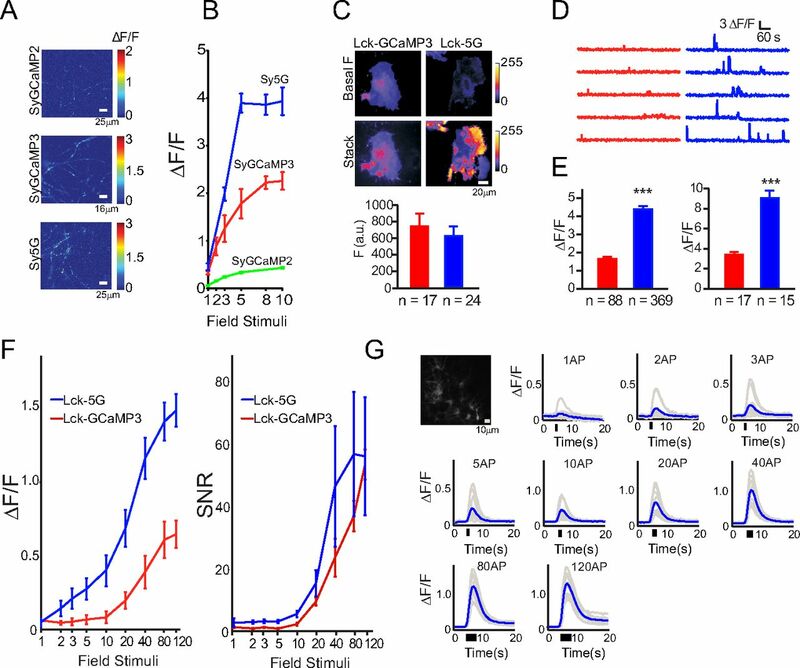 By combining in vivoimaging with electrophysiology we show that GCaMP5 fluorescence provides a more reliable measure of neuronal activity than its predecessor GCaMP3. GCaMP5 allows more sensitive detection of neural activity in vivo and may find widespread applications for cellular imaging in general. This is the best fully-characterized GECI available, but publication of the paper was repeatedly delayed. Why? Because reviewers viewed it as ‘too incremental’ of an upgrade, and not worth publishing in a prominent journal (no, I’m not talking Nature or Science level) when the plasmids are already available. A friendly suggestion for authors and future GCaMP6+ reviewers : You can’t have it both ways. If you want access to the best molecular tools before publication (GCaMP5 has been available for over a YEAR), you cannot turn around and say its not worth publishing because you already have the plasmid. Multiple post-docs spent years of their lives developing and carefully testing this tool. They deserve a quality publication for their efforts. Furthermore, the rigorous performance data collected NEEDS to be available to current and future users. Finally, there is no doubt that this will be a highly cited and viewed paper in whatever journal were to publish it. Our GCaMP3 paper already has 182 citations in less than 3 years, this may do even better. The first public presentation of data on candidates for GCaMP6 will be presented here. This is obviously a big deal for brain imaging. It’s been pretty quiet around here lately and will likely continue that way for some time. BrainWindows is not dead, just resting. Experiments, paper writing, new baby, etc. However, if you still need a fix of BrainWindows analysis, please follow me, @AndrewHires, on Twitter. If you don’t have a Twitter account, get one! It’s the easiest way to get published in the Library of Congress. I’ll be honing the analysis to fit into 140 character snippets. There will also be a much broader range of topics. Hopefully we can continue a quality scientific discourse publicly, in near-real time. Wednesday morning, I’m giving the first public presentation of my current work on sensory coding in the barrel cortex. The big picture question is, How does the cortex translate sensory input into perception and recognition of objects and their position? The activity of an awake cortex is profoundly different in character from an anesthetized cortex. There is also gathering evidence that the activity of sensory cortex when attending to and using its sensory input to perform a discrimiation is quite diffent from periods of inattention. We use a goal-directed discrimination task to enforce attention and to ensure the recorded activity is relevant to the fundamental function of the area. Spikes are the words in the language of cortex. We must record them with high fidelity and temporal precision. We can then use correlation of neural activity to sensory input to try to understand what the cells are saying. If we are to use correlational techniques to describe the language of cortex, we must match the millisecond precision of cortical communication with millisecond precision in measuring the exact sensory input. 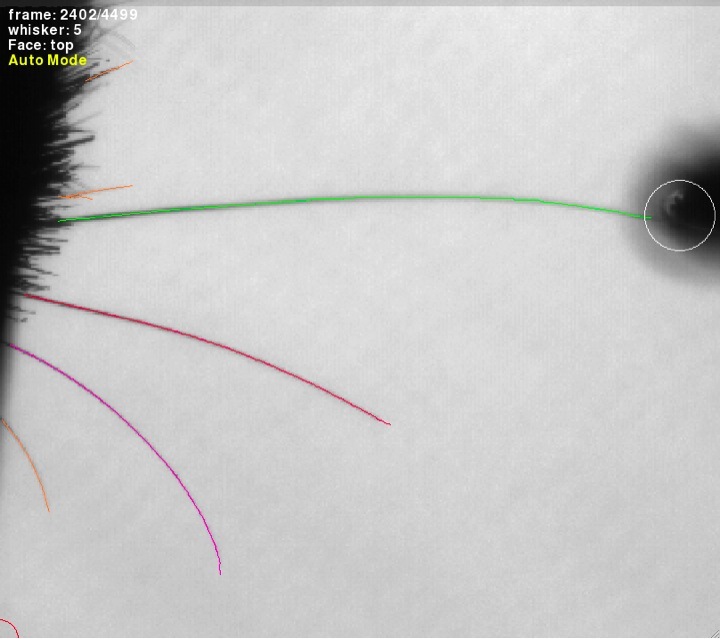 Within the rodent, no study has yet combined all three components, goal directed discrimination behavior, millisecond precision neuronal recordings and millisecond precision sensory input recordings. Anyway, if you want to hear more, try to get up in time to make it to the conference by 8:45AM. Guoping Feng’s group has released what looks to be a very useful set of BAC transgenic Channelrhodopsin mice. 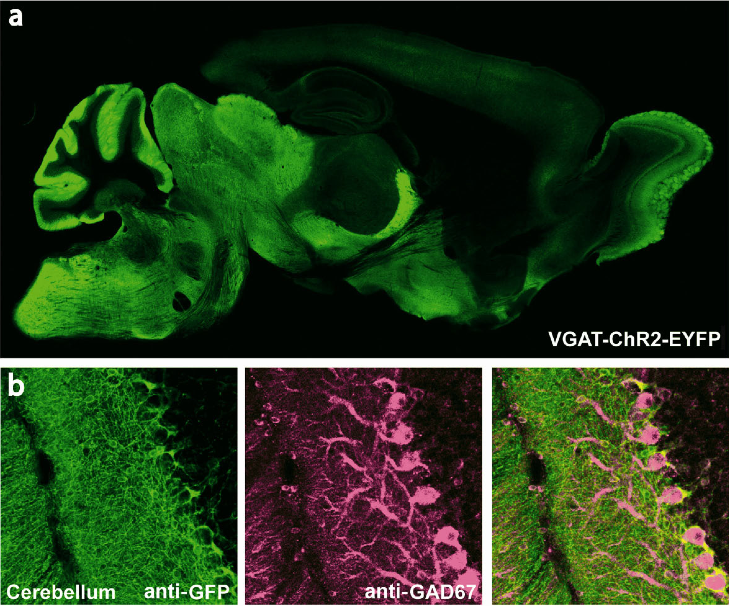 The four lines specifically express YFP-tagged ChR2 in GABAergic, cholinergic, serotonergic and parvalbumin-expressing neurons. They are well characterized and available from Jackson labs. I spent the last two nights arguing with a friend about the potential danger of radioactive fallout from Fukushima. I contended any US fallout was negligible, he disagreed. This led to reading a Science magazine post outlining the high soil contamination readings near Fukushima, and then to the real raw data, and comparisons to Chernobyl contamination. We ran the numbers, and still disagree re: the US, but for Japan, they look bad. If Chernobyl is a valid guide, which is a pretty conservative estimate of the caution of Japan’s government, there will be permanent closure of some towns that are >30km from the plant. 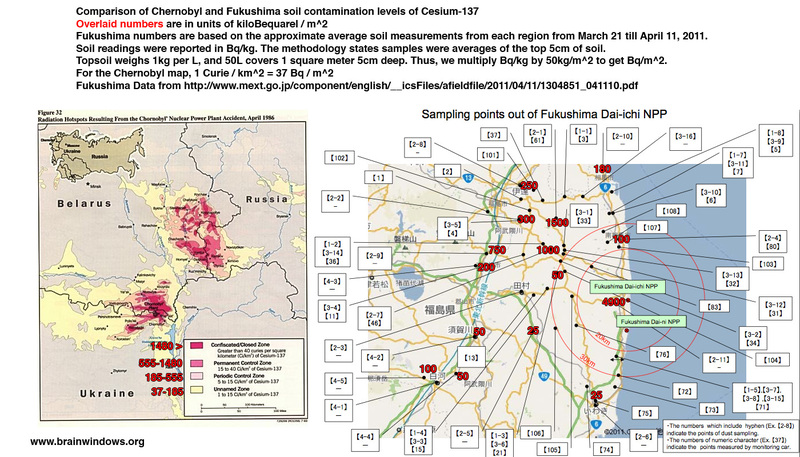 Here is a crude map I whipped up comparing the soil cesium-137 levels that led to restricted access to areas around Chernobyl, with that reported by the Japanese Ministry of Education, Sports, Science and Technology. Here is a directory with the compiled source data, updated daily. The results are very disturbing. 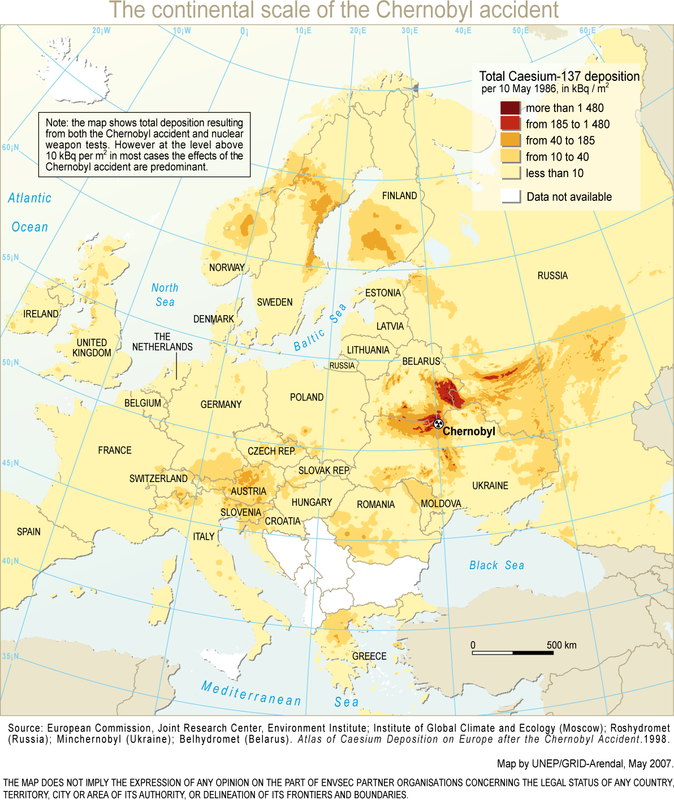 Anything above 1500 kBq/m^2 was permanently closed near Chernobyl. Anything above 555 kBq/m^2 was permanently restricted. If my topsoil conversion factors are correct, and they do match the expert’s assumptions in the Science mag story, then there are numerous villages above 555 kBq/m^2 level that are fairly far from the plant. The 100 kBq/m^2 levels at a distance of 80km are also worryingly high. These aren’t cherry-picked readings to make things look dramatic, they are the rough average of many repeated samples across weeks. No wonder the government finally upgraded the incident to a level 7. Click the picture for the big view. Comparison to the whole of Europe is also illuminating, the numbers are the same scale as above. Neuroscientists map the tree-like structure of nerve cells to better understand how networks of neurons assemble into circuits to enable complex behavior. Despite the advent of computer technology that enables mapping in three dimensions, neuronal reconstructions are still largely performed by hand and reconstructing a single cell may take months. The vast majority of axons (the long neuronal projections that transmit information to neighboring cells) and dendrites (the branches on nerve cells that receive information from neighboring cells) must be traced manually. The lack of powerful – and effective – computational tools to automatically reconstruct neuronal arbors has emerged as a major technical bottleneck in neuroscience research. Organizers of a new competition hope to provide incentives for the development of new computer algorithms to advance the field – including a cash prize of up to $75,000 for the qualifying winner. The DIADEM Competition – short for Digital Reconstruction of Axonal and Dendritic Morphology – will bring together computational and experimental scientists to test the most promising new approaches against the latest data in a real-world environment. The competition is open to individuals and teams from the private sector and academic laboratories. Competitors will have a year to design an algorithm and to test it against the manual gold standard. Up to five finalists will compete in a tournament at the Janelia Farm Research Campus in August 2010. The prize has been established by the Allen Institute for Brain Science and the Janelia Farm Research Campus of the Howard Hughes Medical Institute. The National Institutes of Health is providing support for a scientific conference that is independent of – but held in conjunction with – the tournament phase of the DIADEM Challenge.